BrettYoung’s turf program consists of a full line of cool season turfgrass varieties accessed from leading breeding partners around the globe, including proprietary lines of Kentucky bluegrass, perennial ryegrass, tall fescue and creeping red fescue. With an eye on innovation and varietal improvement, only the latest in turfgrass technology is advanced through private and public breeding programs to achieve improvements in turf characteristics and performance. Our portfolio is designed to offer the utmost in quality, disease and insect resistance, wear and drought tolerance, and unique growth habits that will deliver a distinct performance advantage. Our goal is to ensure that, in the end, our seeds will give you the best chance for success. BrettYoung produces seed of Perennial Ryegrass, Tall Fescue, Fine Fescue in Western Canada, and accesses Kentucky Bluegrass from well adapted regions. Processing, warehousing and distribution is well situated to access the vast western Canadian production area comprised of over 70 million acres of cropland. BrettYoung’s Winnipeg, Manitoba head office, which serves as a primary processing, packaging and shipping hub, is close to North American consumer markets, and has timely access to major shipping ports for international transport. BrettYoung employs a team of agronomists spanning western Canada that work directly with farmers to help maximize returns. 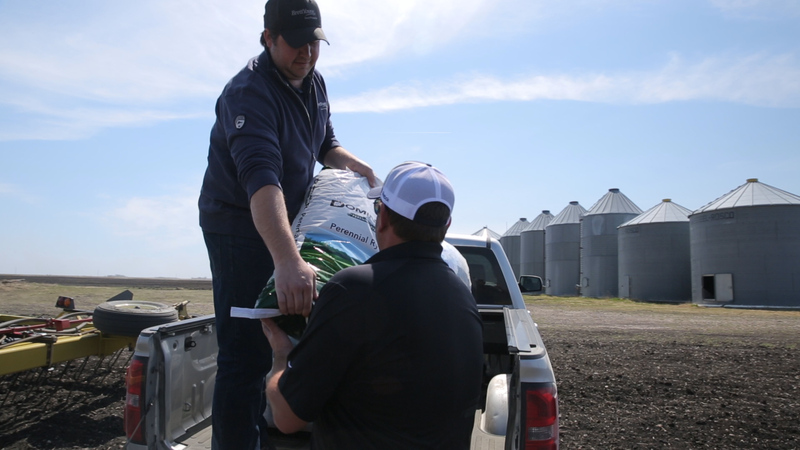 Our knowledgeable agronomists are there to assist growers every step of the way from field preparation, fertility programs, harvest timing, right through seed storage in order to produce seed of the highest quality. BrettYoung has realized significant improvements in yield and quality, and efforts continue to improve the economics of turf seed production for our customers.